Holidays are even better when they're enjoyed with the family! 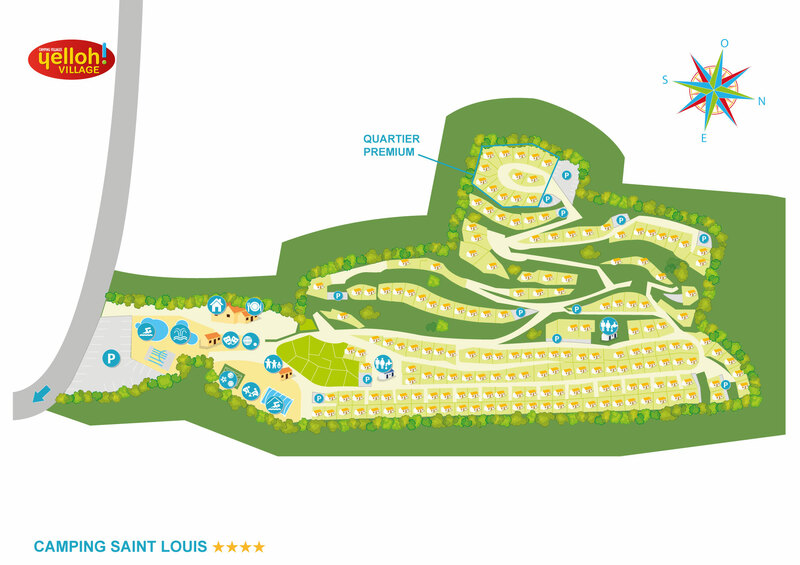 Here at the camping Saint Louis, children will find entertainment clubs that are specially for them! However old they are, whether they prefer sports challenges or discoveries & encounters, the entertainment teams have put together programmes to suit their needs and desires! Big, outdoor games, tournaments, shows and more! All the ingredients to really enjoy your holidays on the Côte d’Azur! Your children will love it! With outdoor games, sports areas and entertainment, the campsite has thought of everything for the kids! Come and enjoy a camping holiday with the family! Because, for the campsite teams, children's holidays are essential, here you'll find an environment and infrastructures that are suited to youngsters. So the campsite paddling pool means they'll be able to enjoy the fun of the water in total safety, with parental supervision, while a games area, a bouncy castle and a multisports ground will be there so they can let off steam in the open air! The camping Yelloh! Village Saint Louis has all sorts of different activities for them to choose from.